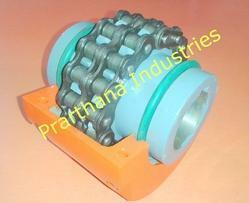 Leading Manufacturer of chain coupling from Ahmedabad. Chain Pitch 1/2" , 3/4" , 1"
for Bore Range 15mm to 75mm , Above 75mm Manufactured as per Requirement. Looking for Chain Coupling ?